Winter Spectacular 2.0 - Day Two: Win The Walking Dead The Game! 2012 is just about over, but our second annual Winter Spectacular giveaway is just getting started! Between now and next week, we've got some of the best games the year has had to offer to give away. Up for grabs today is a copy of Telltale's harrowing adventure, The Walking Dead - in your choice of Playstation 3, Xbox 360, and Steam versions. How do you win this fantastic prize? It’s simple: find the hidden snowflake somewhere on our site (and no, the snowflake on this post doesn't count) Everyone who correctly identifies the location of the secret snowflake is entered to win! As the Winter Spectacular progresses, it will become harder to find the snowflake; if you get stuck, check out our Facebook page for clues. Submit your guess after the jump. With the heartbreaking and foreboding end of episode two behind us, we rejoin Lee and the other survivors, at most, a few days later. Tensions are high as supplies continue to dwindle and a traitor is suspected amongst the group. Having survived for just over three months and watched as downtown Macon has been destroyed by both the walkers and those that thought they could help the lack of hope and food is starting to take it's toll. Zombie's are walking the Earth, how could it really get any worse? There are no easy choices in this game. No matter what you do it will affect the people around you and how they treat you. Most importantly, choices you made back in the first two episodes could come back to hurt you now. Depending on who you've sided with or tried to save, or not save, in the past you have the potential to be shunned out of future plans. At least that's what they want you to worry about. Up until this point it seemed like there were several different ways this story could go but if you choose to play through multiple times and make different choices you'll still end up in the same situations and still be guided a long the same path. In many cases a character you previously chose to save over another will find their demise no matter what you do. On one hand it makes sense, obviously there has to be a main goal for the characters but when so much emphasis has been placed on the players choices and figuring out so soon how it all leads to the same place anyway it's a bit disappointing. It shouldn't stop you from playing though, the story is still incredibly well written and as stated in our review of episode one, the dialogue is a key factor to the telling of this story. Telltale really managed to step it up and keep the important parts of the game moving quickly with the time limit on performing actions and deciding what to say. Somehow, through all the violence and terror they still find ways to stick in some brief moments of humor. Not all of the choices work out the way you'd think from the phrase at the bottom. Through tone of voice and additional dialogue you weren't expecting what you might of thought was something nice or comforting to say can quickly turn into an angry hurtful conversation. 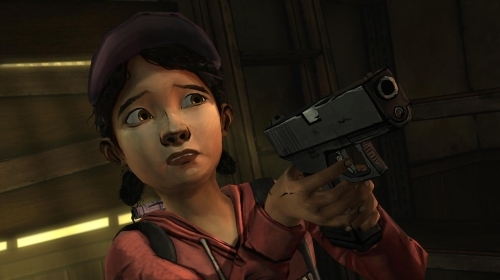 Telltale begins the zombie apocalypse in style. Telltale games, developer of classic hits such as Sam and Max: Beyond Time and Space and the Tales of Monkey Island series recently tried their hand at licensed properties, with mixed results. 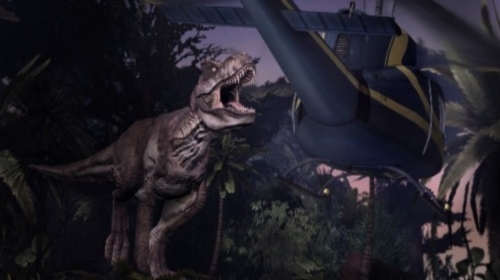 Back to the Future and the Jurassic Park: The Game, Telltale's previous two titles, had potential, but fell short in a number of areas. In The Walking Dead, however, the creators have successfully captured the moral grey area that shrouds the decisions of characters in a zombie apocalypse. The game offers a refreshing change to the typical first person shooter interpretation of the genre. The zombie genre is ripe with action movies and games that are gore fests. The Walking Dead offers a welcome twist. The game is plot driven and encourages players to think about their choices. During the quick first episode players will only kill around 8 zombies where as in a one hour campaign of the Left 4 Dead series players will kill over 1,000 zombies. 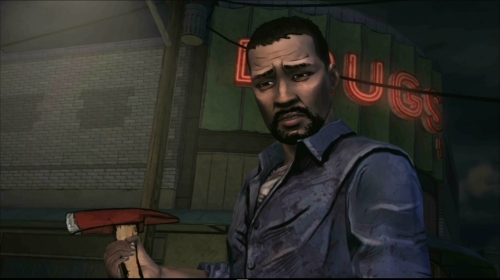 Telltale sticks to the elements that made the comic and the TV show emotionally charged. They explore how people and families deal with a zombie apocalypse. Opening with the reveal of a murder and moving right into the opening credits, Law and Order: Legacies is set up exactly like a normal episode of the show, complete with the "dun dun" sound effect that opens every new scene. Following Detective Rey Curtis you'll look for clues, question witnesses and suspects and then join Mike Cutter and Abbie Carmichael to follow the case while it's being tried. The dialog is done with a conversation tree; the more questions you ask the more topics you can talk about. Everything is saved in a transcript that can be looked through to remind you of things you may of forgotten or to tell you things you may have not noticed the first time. Every so often you'll be asked to judge if the person your talking to is telling the truth, this is an ideal time to look through the transcript and find a mistake in what they've said. If you give the correct answer you'll be given a star, which goes towards determining your rank, and then you'll be asked to prove your choice in answers and possibly earn another star. Finding evidence is as easy as drawing a circle around items with the same shape as the silhouette on the list. In the courtroom you have to choose your topics carefully, object when necessary and make sure the jury is on your side when it comes time to react a verdict. Taking place during the movie, but never crossing over with the main characters, Jurassic Park: The Game follows the story of the can of dinosaur embryos Dennis Nedry tried to smuggle off the island. There are eight characters involved with the storyline but being completely honest, they're on an island where dinosaurs are running amuck, so expect some deaths to occur, including yours. That's right - in a telltale games rarity, it is now possible for your character to die in the game. It's one of the better parts of the game actually. Watching characters getting eaten by all the different dinosaurs helps deal with the painful lack of gameplay. That is not to say that you don't do anything. 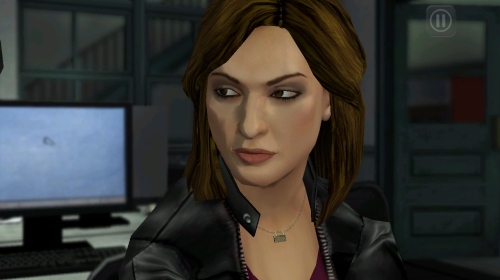 When the player is involved it's generally little more than a bunch of button mashing and watching for Heavy Rain inspired directional buttons, all to make your character slowly turn their head. The limited level of actual interactivity involved here is tragic. There are certain points in the game where you can walk away from the computer and come back several minutes later and it is as though you've never left; the game will gone on without the player. Sure, they've thrown a handful of QTE type buttons that need to be pushed here and there but unless the gold medallion pops up in the upper right hand corner of your screen the worst that will happen is that your character will stumble a bit and look a tad stupid, but it doesn't make a difference in the end. For the scenes where it does matter, the gold medal will change down to silver, bronze and eventually no medal at all depending on how many times you die or screw up the button sequences. Each episode is divided into scenarios so once you've played through you can go back and redo sections if you want to improve your medal standing. Controls consist either of the keyboard (arrows keys or WASD) or a gamepad.